I am sorry I have been quiet but I have been home for a few weeks catching up on paperwork, gardening and generally organizing my life. 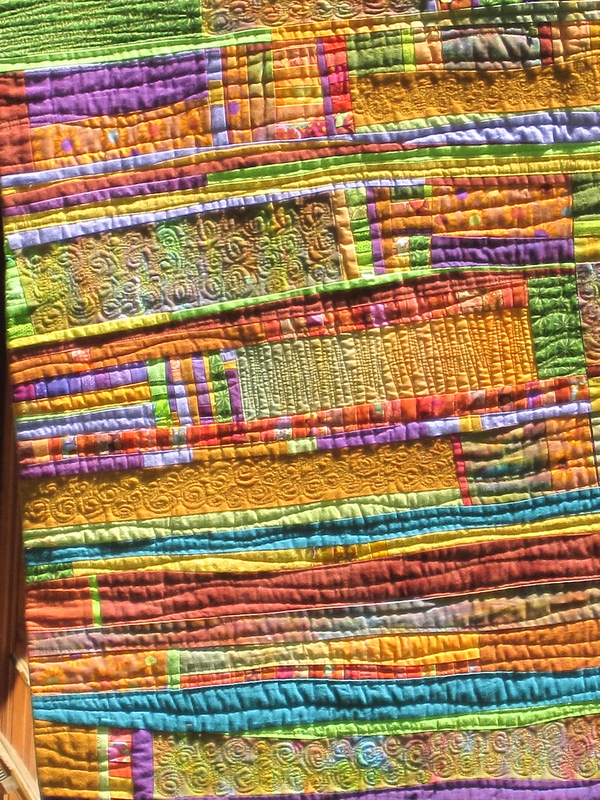 I have also managed a little catch up sewing. 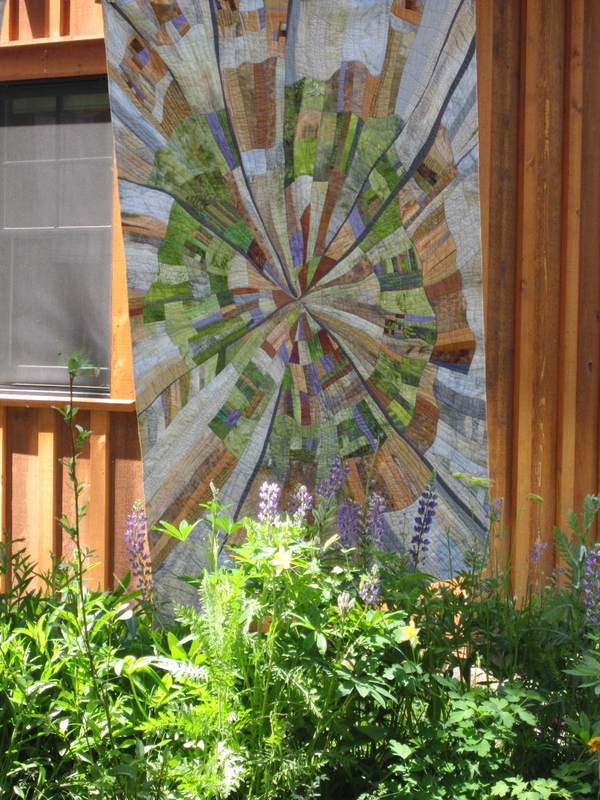 As promised in my last blog I was going to finish up my lovely teaching experience at Sisters with the wonderful lecture and outdoor walk of Jean Wells quilts which I attended on the Sunday morning after the show. I have long been an admirer of Jeans work and it was wonderful to enjoy her creative journey as her early quilts to the present day quilts were displayed from all to enjoy. It was great to see how her work has evolved. 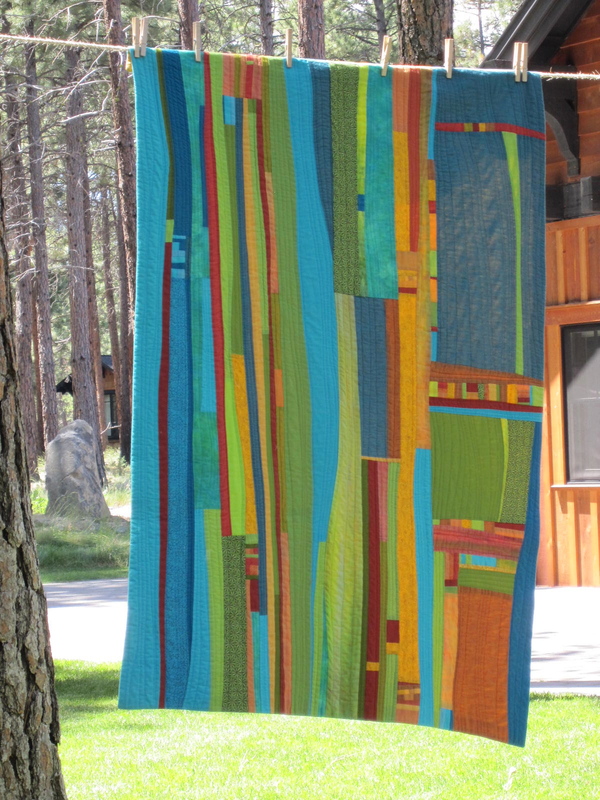 I love the simplicity of the lines in her quilts as well as the use of solid colors. I use a lot of solid wools in my own work and I think that is one of the reasons I am so drawn to her work. 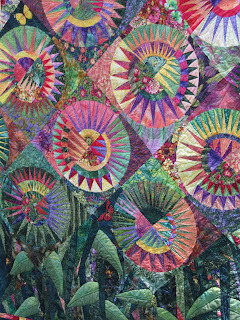 Wendy and Aimee had the pleasure of taking a two day class with Jean at Sisters this year. I was very envious as taking a class from Jeans is on my too list. I am hoping next year to be able to do that. I have much to share with my teaching at The Hershey Show and many new projects so please return soon. This entry was posted on Wednesday, August 17th, 2011 at 10:06 am	and is filed under Uncategorized. You can follow any responses to this entry through the RSS 2.0 feed. You can leave a response, or trackback from your own site. Lucky them! I would LOVE to take a class with Jean! I love her approach. Oooh. 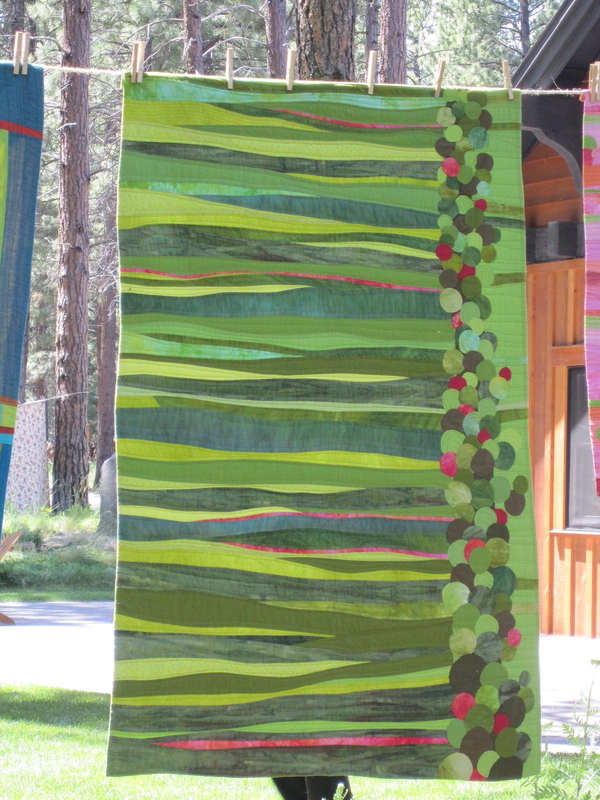 That green quilt is amazing! Love it. Sue, good to hear from you. 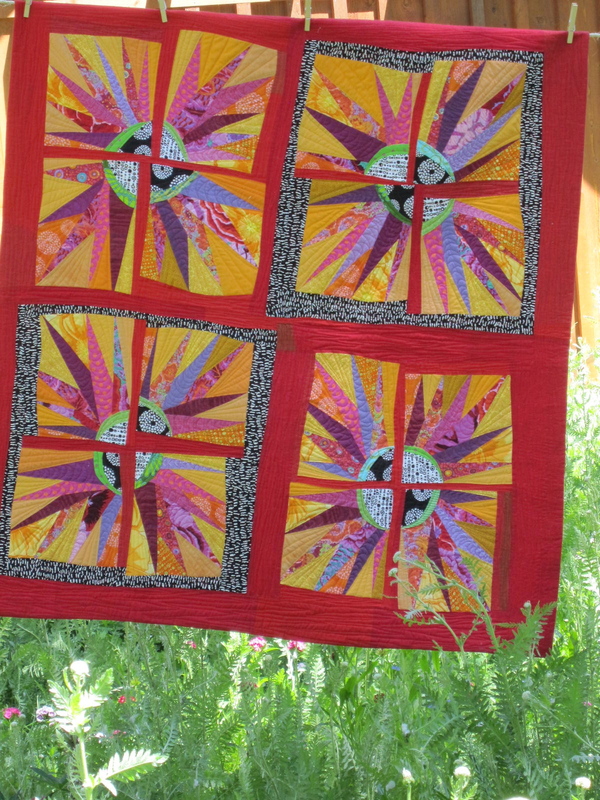 I can remember having one of her first books, and following her evolve into these stunning quilts. 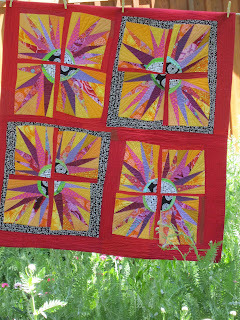 Love the first quilt with the pink strips and added blocks. 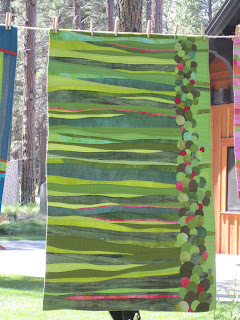 Beautiful art pieces, I love the strips and waves sewed like that. I did get a book and need to figure out how to do those wavy strips. 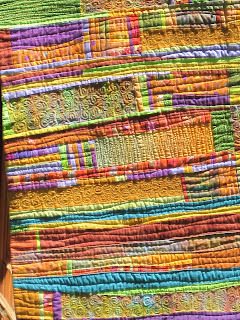 might join you in that class sue…when i see her quilts i want to get right into them, they are fascinating. it was great seeing you and wendy at sisters. looking forward to next year with you here i think. I know this will not impress you at all, but my favorite of hers is the folk applique of the mountains and the country. The points and the african things are interesting, but i don't love them the way I love that one. What a fabulous 'feast of photos'. How inspirational! Thanks for sharing!